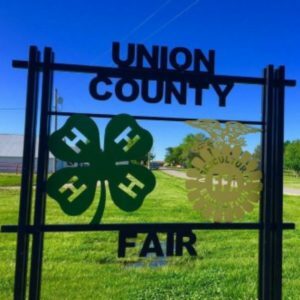 The Union County Fairboard is pleased to announce that we have received a DEKKO pledge of $500,000 towards new buildings on the fairgrounds! DEKKO has offered support in the form of a pledge that is designed to both help us build momentum for our building campaign and complete it successfully. To begin, DEKKO will pay out $1 for each $1 we can secure for our building project, up to a maximum payment of $100,000 from their foundation. If we are successful with that pledge, they will offer a second pledge of $400,000. That pledge will be payable once we have secured the total of $1,545,000 (including Dekko Foundation support) needed to complete our project in full.